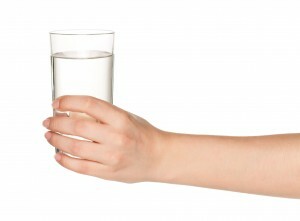 A water test is something you should consider if you live in New Castle, Delaware. While tap water is regularly tested by municipal authorities, water can pick up contaminants or unwanted elements in the pipes traveling to your house. Furthermore, tap water from a private well is not tested by the government at all. These facts are important to understand because tap water is such a crucial part of everyone’s daily lives, since it is used for bathing, cleaning, cooking, and drinking. It makes sense, then, to know exactly what’s in it. Although your water may look fine, there are many contaminants that cannot be identified simply by looking at water and that can’t be removed by faucet-mounted filters. Getting a complimentary in-home water hardness and drinking water test from your authorized RainSoft dealer serving New Castle would allow you to find out about these contaminants and discover ways to eradicate them from your water. A water test from RainSoft could help you learn whether any of the above are due to contaminants in your water. If they are, one of the representatives from RainSoft will help you learn about customized solutions for your water. In order to set up an appointment for a water test in your New Castle, DE home, get in touch with RainSoft today.